Above the steel doorway to Ben Chacko's office in Hackney Wick, a stone's throw from London's Olympic Park, are two Soviet-style red stars. Perched atop his desk is a bust of Vladimir Lenin. But do not let that persuade you that the 34-year-old's loyalties rest with the Kremlin. "The regime, the corruption, the authori­tarian­ism of modern Russia is not something that appeals to the communist West at all," insists the editor of the Morning Star, the only English-language socialist national daily newspaper in the world. Chacko's affections "lie with Beijing, not Moscow", as The Economist maga­zine put it in 2015, the year he was appointed editor. He read Mandarin at Oxford, with six months' study at Peking University, before returning to China to spend three years teaching English and interpreting in Dalian, Liaoning province, and Ningbo, Zhejiang province. "The striking impression I have of Chinese society," he says, "is that it has a very can-do attitude to political, environmental and economic problems. While our politicians usually seem to be making excuses for why things can't change, in China, everything is changing very fast, and there's a very real sense that tomorrow will be better than today. I found a very infec­tious enthusiasm." Chacko's interest in Chinese socialism is shared by the Communist Party of Britain (CPB). Only last month, the CPB published a 43-page pamphlet (the ultimate sign the body is taking an issue seriously) titled, China's New Era and What it Means. "Socialists and anti-imperialists who underestimate China's importance not only fail to understand the complex historical processes at work," the document warns, "they also may fail to see advantages of the many tactical and strategic opportunities for the left that China's rise will produce. The shift in the inter­national balance of forces is already being felt. The left in Britain needs to focus carefully on how it will respond to this potentially historic transformation." In December, two of the party's leaders flew to Beijing for a meeting convened by the Communist Party of China (CPC) on the theme of "Working Together for a Shared Future for Humanity". And when the CPB publishes an updated edition of its prog­ramme, Britain's Road to Socialism, later this year, it hopes "to welcome representatives from the CPC and China's embassy in Britain once again". 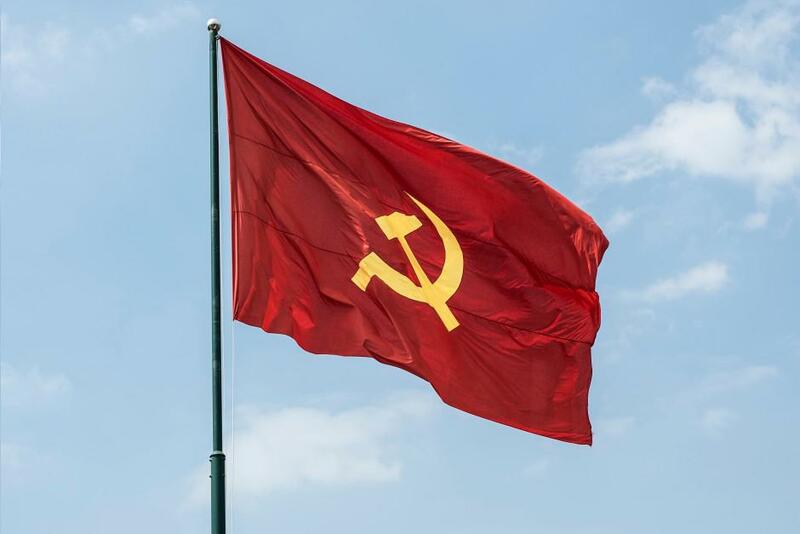 It is a Thursday evening and at a meeting in Islington, north London, to discuss the drafting process, loyal campaign­ers are flanked by photos, murals and busts of commu­nism's finest as they stack pamphlets and unfurl blood-red hammer-and-sickle flags across the tables. An ageing Fidel Castro peers down from on high. Lenin, in harsh profile, looks back at the Cuban leader. Karl Marx - who was born 200 years ago this month - maintains an imperious stare across the hall of the Marx Memorial Library. 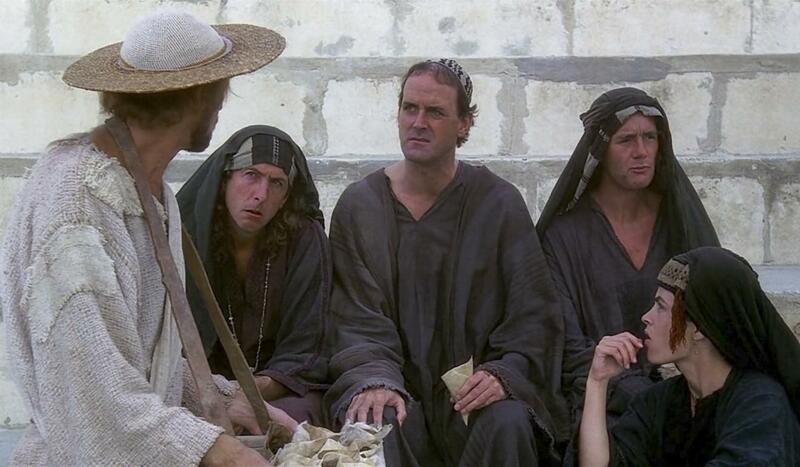 The scene from Monty Python's Life of Brian (1979), in which Brian asks, Are you the Judean People's Front? and is met with the response, F**k off! Judean People's Front? We're the People's Front of Judea! Anyone using Google to seek out the CPB will already have had to tangle with the mass of similarly named parties jostling to keep the red flame burning. It is at this point (sorry, comrades) that one simply cannot fail to reference the 1979 film Monty Python's Life of Brian and the scene in which the titular protagonist's question, "Are you the Judean People's Front?" is met with the response, "F*** off! Judean People's Front? We're the People's Front of Judea!" Britain's hard left is similarly thronged with like-minded factions riven by a word or two. Whatever you do, make sure you don't confuse the Communist Party of Britain with the Communist Party of Great Britain (sworn enemies since their split in 1988). Then there is the Communist Party of Britain (Marxist-Leninist), the Revolutionary Communist Party of Britain (Marxist-Leninist) and the New Communist Party of Britain, to name a few. "Working men of all countries, unite!" So proclaimed The Communist Manifesto in 1848. So why on earth are its British adherents of 2018 so fractured? As we chat upstairs - to where an exiled Lenin retreated in 1902, to edit and print his journal - Robert Griffiths, general secretary of the CPB, says, "It's a result of the lack of pro­gress and, to some extent, it's the product of despair and turning inwards." But he also dis­misses the rival "outfits", in turn, as "Trotskyist or Maoist or ultra-leftist" groups that spend too much time "attacking the real Communist Party". It is true, the CPB is the largest of the parties, although it boasts only 900 or so members. Griffithscould also, quite possibly, claim to be the longest-serving party leader in Britain. This year, he will celebrate 20 - unchallenged - years in the job, a fact he confesses is "a source of embarrassment". The party received only 1,229 votes across nine seats in the 2015 general election - far outstripped by the Official Monster Raving Loony Party and the Cannabis is Safer than Alcohol party. This, however, is not a source of embarrassment: "Vote-winning is not the main reason we stand in elections," Griffiths tells the meeting. Despite the numbers, the party has been making waves of late, thanks to Jeremy Corbyn's ascendancy. In February, the Labour leader appointed Andrew Murray, previously a member of the CPB for 40 years, as a consultant. Murray, 59, has questioned why "hack propa­gandists abominate the name of Stalin beyond all others" and expressed "solidarity" with North Korea. And in March, University College London professor Susan Michie, 62, caused a stir when she told a Communist Party meeting in this very hall, "Members should absolutely be [...] working full-tilt to get Jeremy elected, and the Labour Party into government." This followed the CPB's decision not to field any candidates in the general election last year, for the first time since 1920, instead calling in a statement "for a Labour vote in every constituency across Britain". 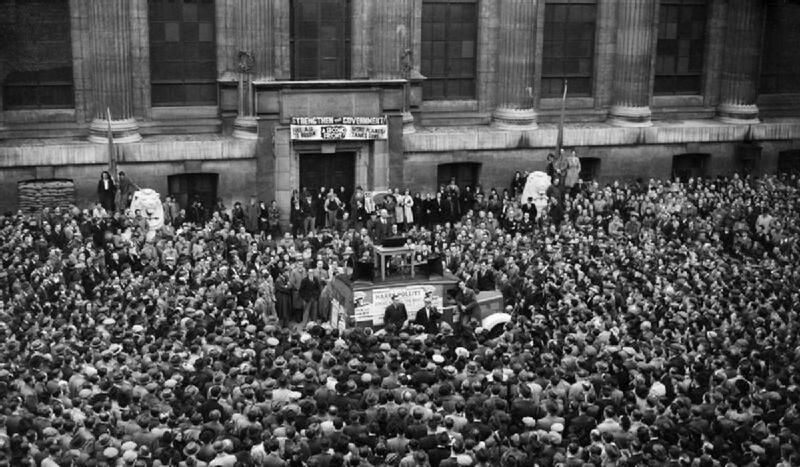 Inevitably, the move proved a gift for Labour's enemies, with a "Commies come out for Corbyn!" headline in the following day's Daily Mail newspaper. Griffiths goes on to condemn the warmongering "psychosis" of politicians, including many Labour MPs, and "levels of hypocrisy and hysteria that would be funny if the situation were not quite so tragic and serious". "Satire has died on the day that the United States and Britain can condemn China and Russia for aggressive expansionism," Griffiths says, "when we have gone into one country after another and been responsible for the deaths of thousands of civilians." 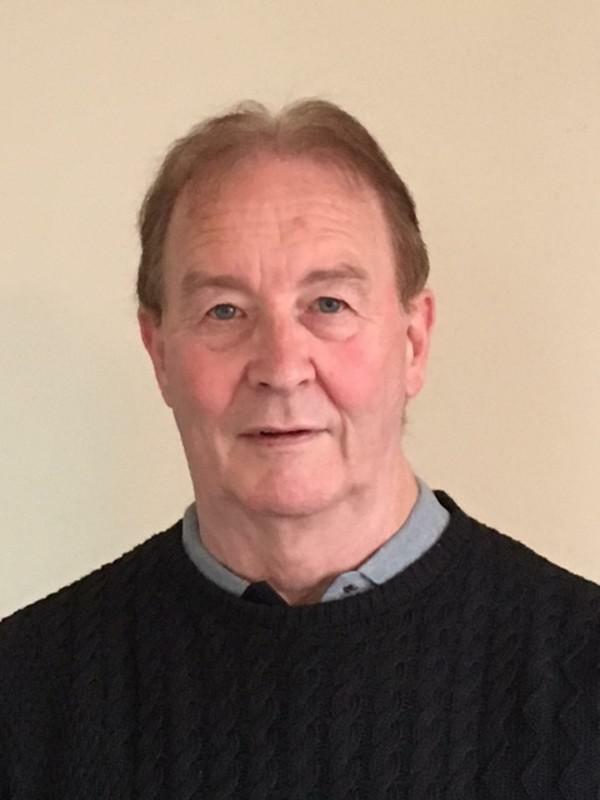 Griffiths, a 66-year-old former college lecturer, is a daily reader of the Financial Times ("the voice of the class enemy") and owns "a half-share in a terraced house in Splott", a district in the city of Cardiff, in Wales. The essence of the party's mission, he says, is to imagine a world after capitalism, which has "now outlived its usefulness to human­ity and has shown itself incapable of solving even the most fundamental prob­lems of human society. The only alternative would be a socialist society, based on collective owner­ship and control of the great econo­mic, social, political and military forces." Robert Griffiths, general secretary of the Communist Party of Britain. Whatever you make of the ideology, you cannot fault the tenacity. Ruth Styles, 59, the chair of the London district of the CPB, has been active since she signed up to its youth wing at the age of 13. But she admits that even fellow trade unionists have been puzzled as to why she joined. "My answer is always the same: because I believe getting a Labour government is only part of the answer," she says. "I mean, capital­ism across the world is destroying our planet. Unless we have a fundamental change in our approach to economics, the whole human race is at risk." Michael Quinn, 20, has had first-hand experience at the sharp end of the "gig economy", working in the hospitality industry. Now branch secretary of the Young Communist League in Portsmouth, on Britain's southern coast, the music technology student ditched his Labour membership to join two years ago. "You get the usual 'Stalinist' insults and we get quite a lot of hassle from far-right groups," he says, adding that "communist" is widely seen as "a dirty word". "But generally, people are quite supportive. I've never lost a friend because of my politics." He rejects the idea that communists are preoccupied with argument over action. "Marxism is the only sort of revolutionary idea that actually has any application in the f***ing real world," he argues. "I see the need for a party in Britain that can actually offer revolution­ary solutions for the working class. Because, frankly, we cannot just have a mild form of social democracy. We need an explicitly revolutionary party." "A communist is like a crocodile," former British prime minister Winston Churchill once said. "When it opens its mouth, you cannot tell whether it is trying to smile or preparing to eat you up." Nowadays, how­ever, talk of communists is more likely to trigger a laugh than a shudder in Britain. Tabloids frequently refer to the "loony left" and, last year, comedy feature The Death of Stalin had cinema-goers splitting their sides with what Griffiths criticised at the time as "crude anti-communist stereotypes". However, he insists he doesn't mind a laugh - regaling me with cold war-era "gallows-humour" gags about Soviet leaders Nikita Khrushchev and Semyon Timoshenko. It was Marx, after all, who said, "History repeats itself, first as tragedy, second as farce." Joking aside, critics of the movement would be appalled simply by its symbolism. The CPB is the only party in Britain allowed to use the hammer and sickle on ballot papers. To many, the emblem - despite predating the Soviet Union - represents the horrors of that regime, under which millions died. But Griffiths says he has no reservations about using it, arguing that it is peculiarly British to see "a symbol of brutality and gulags and the rest of it. 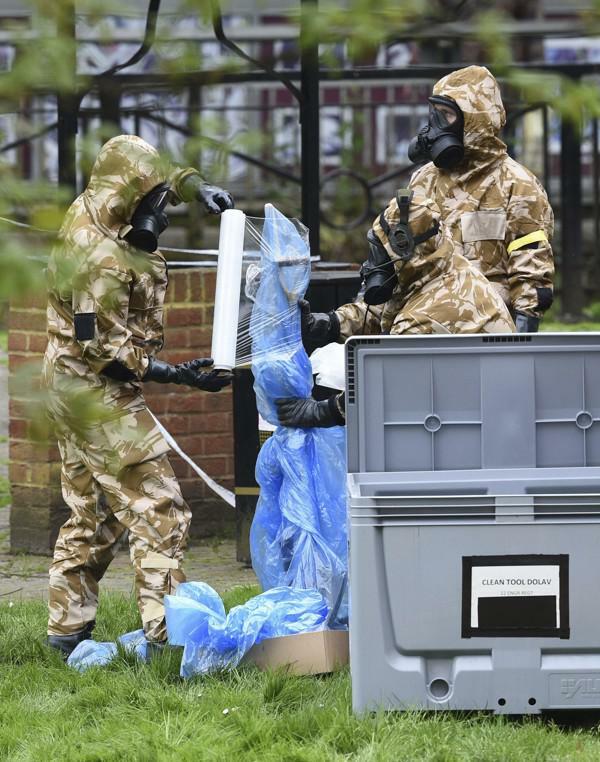 I'm afraid that's as much a reflec­tion of cold war propaganda as anything else. Despite the crimes and mistakes, we still think it stands for something that is much more positive than negative." That sentiment could sum up British communists' attitude to China. Chacko hails the country as "the biggest voice for peace and dialogue in the world - rather than solving every­thing through invasions and war". 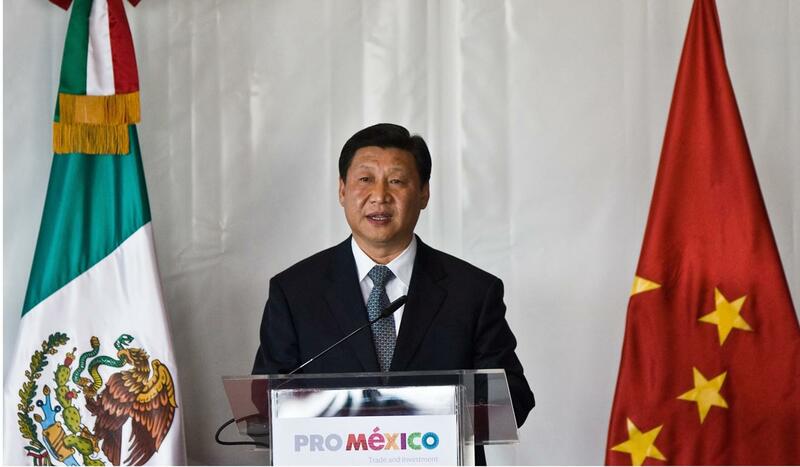 He contends that his news­paper is "very critical of certain aspects of China's policies". But when I ask for examples, he quotes Xi Jinping's 2009 speech in Mexico, in which China's then vice-president railed, "Some foreigners with full bellies, and nothing better to do, engage in finger-pointing at us." "We wouldn't want to sit here and judge," Chacko says, before offering a mild critique of lax trade union protections in China. There is no such restraint when I ask how he would appraise general British perceptions of the country. "Incredibly ignorant is the main thing. I mean, that's true of most British coverage of most of the world, to be honest. There's never any ability to put yourself in somebody else's shoes and look outside your own cultural assumptions." He passionately rejects the idea that China is "an authoritarian, dictatorial state", saying that at a local level, "there was a lot more participation by ordinary residents in local decision-making in politics than I've ever seen in Britain". "Similarly, because it suits a Western narrative, people like to declaim that the Mao period was an economic disaster and that after he died, China dropped communism and became a capitalist country. "Actually, of course, economic growth under Chairman Mao was pretty impressive, much more than most of the Third World. The fact that China has taken more people out of poverty than any country in history in the period since is testament to the fact the model works very well. "So I would see China as a very encouraging alternative to an economic system that crashed in 2008 and which is really obsolete. We're seeing in America and across Europe that more and more people are rejecting that free-market model. And they can learn a lot by looking at the way that the Chinese have handled their economy in the past three decades." Chacko lambasts the "incredibly hypocritical" liberal Western idea that no conversation should be had with Xi's administration without mentioning human rights. He points out that Britain and the US "are the two most disruptive countries on the global stage in terms of starting wars and attacking other countries". "I think for them to say, 'Oh China's got a problem with human rights,' is just totally out of order. Yeah, China has the death penalty, but so does the United States. Why don't you see people saying, every time the British have a meeting with the US, we need to raise human rights? I think there's a tendency in the West to regard ourselves as judges of the rest of the world and I think that's very arrogant and doesn't go down well with Chinese people." On the umbrella protests in Hong Kong, Chacko says, again with noticeable brevity, "Obviously, people should have the right to demonstrate for a more democratic system." But when I mention commentators who have criticised Britain's "betrayal" of Hong Kong in not standing up for promises it made to defend a high degree of local autonomy, Chacko is adamant: "I don't think Britain should have any role there at all. 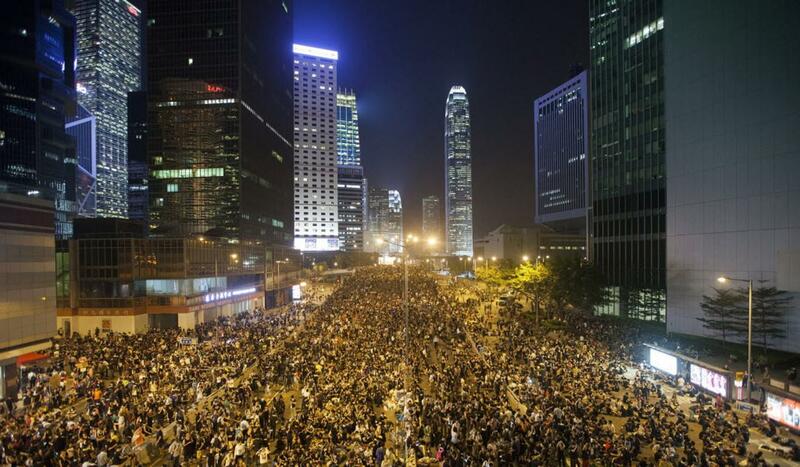 Britain occupied Hong Kong for 100 years after seizing it in the opium wars. I don't think Britain should be interfering." It is clear that, for Chacko, Britain comes off badly in the vast majority of comparisons with China. But there is one exception. "The most exciting country in the world politically at the moment is Britain," he enthuses. "This is borne out by my conversations with communists abroad. What's happening on the British left is really unique and really going against the tide, because, in Europe, the far right is on the march. Britain is actually holding out hope that we have a positive, progress­ive, tolerant alternative to the status quo." While Corbyn's Labour has been successfully challenging the government in several practical policy areas, British com­munism may appear, to an outsider at least, an idyll of ideo­logy; a place of pamphlets, in which theory is king and where you get more kudos for quoting Engels' 170-year-old proclam­ations than proposing ways to ameliorate the housing crisis. The average communist member is more ideological than their Labour counterparts, Griffiths concedes, and "there's a danger of that turning into dogmatism and arrogance". But one can also see the appeal - their world view is of the purest form, unfettered by anything as ignoble as wooing an electorate. Griffiths insists that, although the Labour leader has been friendly towards the movement, he is merely a "principled socialist" and "is not a communist and never has been. I don't think Jeremy Corbyn would have been at all comfortable being a member of the CPB through the decades. I suspect he would have found himself in hot water on more than one occasion - and probably ended up being expelled." 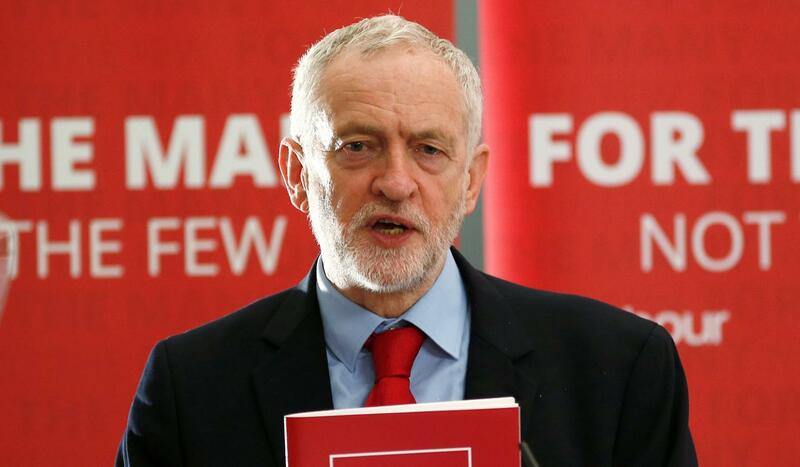 With an insurgent Corbyn (communist or not) at the helm of Her Majesty's Opposition, a labour market in violent flux, rising inequality and international rage against globalisation, if the Reds are to have their moment in the sun, it should surely be now. As Griffiths declares, "The fight is on." Bourgeois imperi­alists, you have been warned.